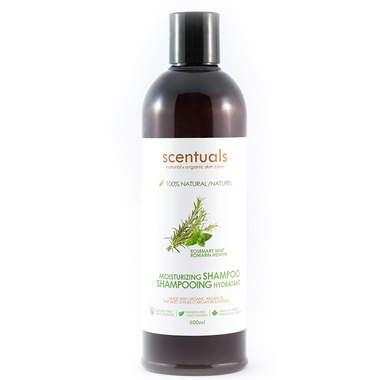 Scentuals' natural, sulphate-free Shampoo is handmade with Organic Argan and Coconut oil to keep hair looking and feeling healthy and hydrated without stripping away natural moisture. This lovely handmade shampoo will leave your hair feeling lightweight and clean, while Rosemary and Mint essential oils mingle for a bright and refreshing experience. Wheat protein: Strengthens and prevents breakage from the inside out.